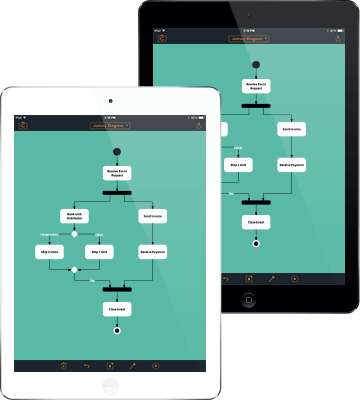 Looking for a free and easy flowchart app? 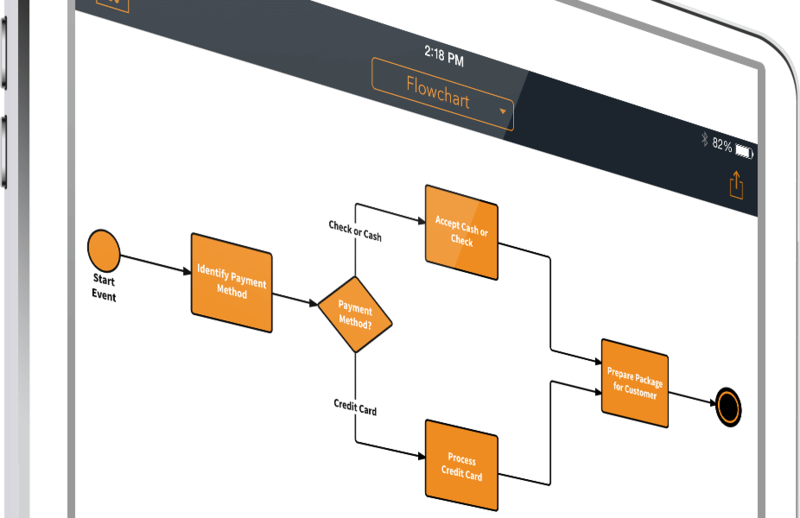 With Lucidchart's iPad application, you can create stunning flowcharts, wireframes, mockups, UML diagrams, ER diagrams, and much more! Lucidchart's iPad application is fast and reliable. You've always been able to open and create docs on the web, but this app makes diagramming even more convenient. As with our desktop application, real-time collaboration is a breeze. Invite an unlimited number of users to view or edit your iPad diagrams. Changes will sync instantly. Browse the template collection or start from scratch. You can choose from hundreds of shapes, including flowcharts, mind maps, floor plans, and many others. Use the iPad app's professional features for high quality results. Our simple editor makes it easy to arrange your elements just the way you like. Drag your finger to connect shapes with a line, and even add an image to make your piece stand out. 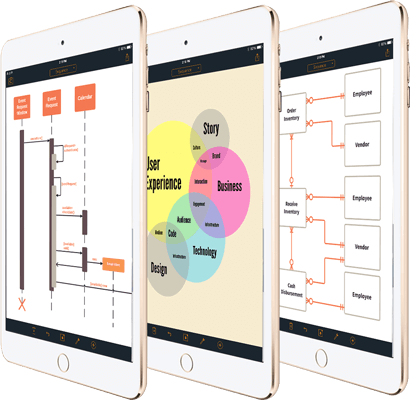 If you have trouble making diagrams presentation-ready, our app is the tool for you. Choose from pre-styled themes with matching fonts and colors, or use advanced features to make a truly custom finished product. Not only is Lucidchart the perfect diagramming iPad and iPhone app, it's also desktop-friendly. 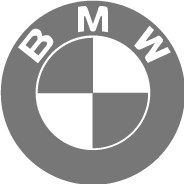 Need to work in your browser? Access Lucidchart from anywhere instantly on your Mac, PC, or Linux. It's that simple. We’ll help you make a professional-looking document that you’ll want to share. 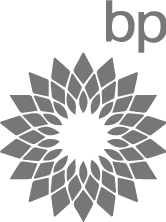 Quickly publish your work as a PDF or image file and easily include it in a report or presentation.